Practice makes perfect, even in math! 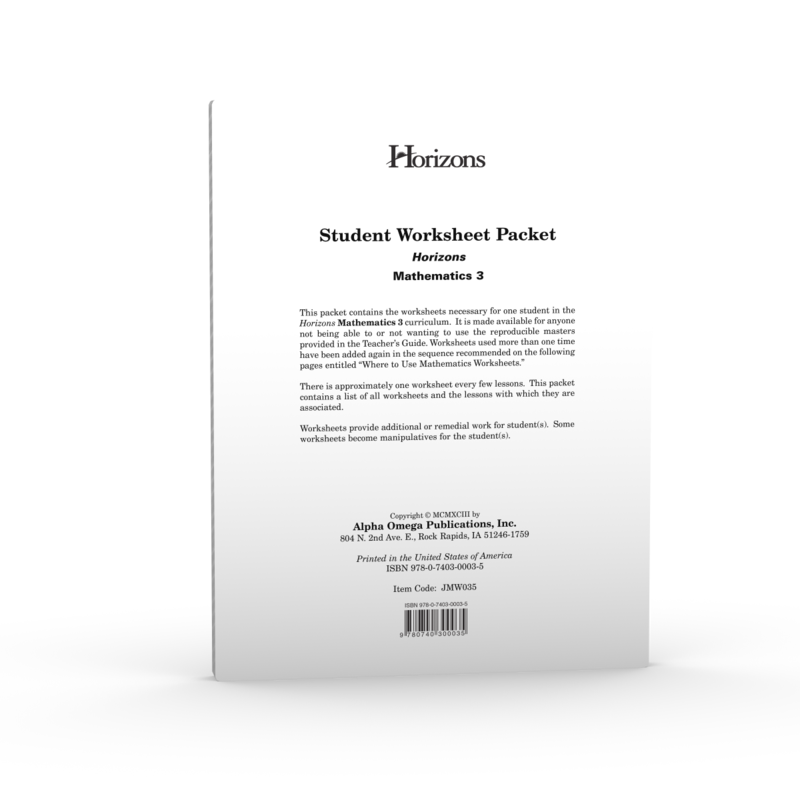 Solidify your child's understanding of math concepts with the Horizons 3rd Grade Math Student Worksheet Packet. Reviewing skills presented in Horizons 3rd Grade Math Student Books 1 and 2, this Alpha Omega curriculum packet includes 80 unbound, reproducible review worksheets for additional or remedial practice. But that's not all! As a homeschooling parent, you'll love the detailed chart that clearly explains where and when to use each review worksheet within the Horizons 3rd Grade Math curriculum. Don't let math review be boring in your homeschool. Order the Horizons 3rd Grade Student Worksheet Packet from Alpha Omega Publications today and watch your child have fun practicing math!